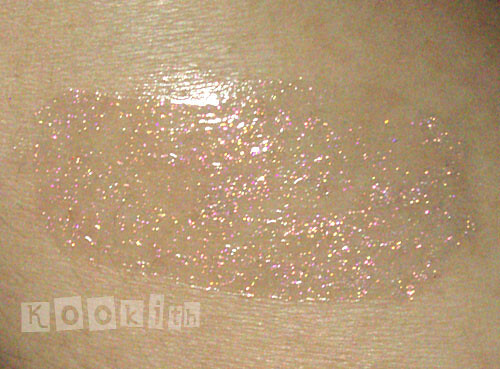 Holo-gloss, which is basically loads of natural glitter suspended in clear/sheer lip gloss. Raspberry Beret is a sheer pink with pink, gold and copper glitter. Holo-glosses are perfect for the ladies who don’t like a lot of color but still want something a little special to wear. While these are sheer shades they have a fantastic sheen/finish to them… I think these will be great for ladies who don’t really like a colored gloss or lipstick but still want something a little special to put on. While I loved the shades which are essentially clear with loads and loads of natural glitter, so no gritty feeling on the lips, I hated the super thick sticky feeling. Susan also offers an alternate formula for ladies with Shea allergies. I was blown away by Raspberry Beret. It is sheer (I like sheer! 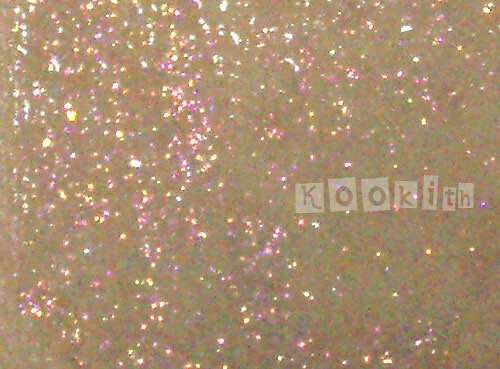 ), full of shimmer (I LOVE shimmer! ), and the texture is just wonderful. 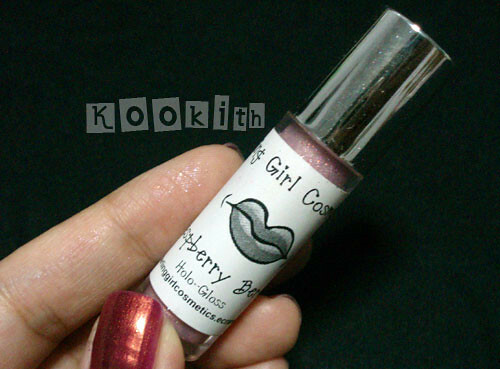 The pink in Raspberry Beret is not obvious, but it is very flattering when the holo-gloss is used on its own. The star of this product though, is the glitter. Oh helloooo, glitter. It seemed like Susan held nothing back, and kept packing that tiny amount of pink gloss with all kinds of crazy, multi-coloured glitter! I am happy with the colour of my lips and well, the shade suits me perfectly (as it should), so I always gravitate towards sheer and shimmery, sparkly glosses to let my natural lip colour show through. The pretty glitter in Raspberry Beret adds an extra dimension to my lips and gives the illusion of a fuller, sexier pout. I’m sure they’d be great as layering glosses too, but I haven’t tried them that way. I don’t like getting the doe-foot wands stained by other colours lol. I know, I have issues! 3.5 ml in a lip gloss tube with a doe foot applicator. Shea Butter, Cocoa Butter, Sweet Almond Oil, Bee’s Wax,Hydrogenated Polyisobutene, Ethylene/Propylene/Styrene Copolymer, Butylene/Ethylene/Styrene Copolymer, Mica, Titanium Dioxide, Calcium Aluminum Borosilicate, Tin Oxide and Silica. Castor Seed Oil, Cetyl Stearyl Alcohol, Olive Fruit Oil, Beeswax, Hydrogenated Castor Oil, Glycine Soybean Lipds, Lauryl Laurate, Carnauba Wax, Candillia Wax. Hydrogenated Polyisobutene, Ethylene/Propylene/Styrene Copolymer, Butylene/Ethylene/Styrene Copolymer. I love the sizes of DG’s lip products because let’s face it, how often do we actually use up anything?! I want to be able to buy new colours and new collections, and trying to finish up a huge tube of something is a chore. Makeup is supposed to be fun! The one thing that slightly bugs me is the packaging. DG’s lip glosses come in a small tube, and it is hard to get the gloss out because the applicator only deposits a tiny amount at a time. In order to coat my lips, I had to stick the applicator into the tube more than 10 times. Susan has acknowledged on her shop that the tubes aren’t the best quality. When I asked her about it, she explained that these are the only wands available to her at this time, but she’s keeping an eye out for alternatives. Nice post 🙂 Yea I do agree about tubes and wands (and it’s not just DG)… I think there should be a pot alternative so that one can apply it with a lip brush. Helps build it up to however much you want as well ! Thanks for the post, swatch is cool, I think I have one on the way (although not this particular colour) – can’t wait to get it now ! Hi Lorraine and thanks for dropping by! I do love the small sizes (large sizes just become a pain to finish lol), but yeah your idea is awesome about the lip pots. I’m going to direct Susan here to read your comment! Hi Ki! Oooh I’d love to see your swatches!